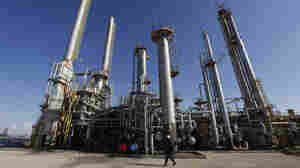 Conflict In Libya Protests challenging leader Moammar Gadhafi led to a bloody crackdown in February. 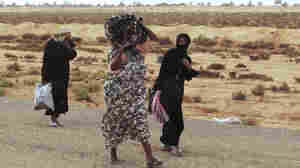 Amid clashes between opposition forces and troops loyal to Gadhafi, thousands fled Libya. After rebels took much of the east, Gadhafi's forces began pushing back — and the UN Security Council got the international community involved. February 24, 2012  When Moammar Gadhafi ruled Libya, no one imagined stepping foot in Bab al-Azizia, but now it's a reminder of his iron rule that is slowly being dismantled. February 23, 2012  Seasoned combat reporters gathered in Tripoli on Wednesday to honor Marie Colvin, a friend and fellow journalist who was killed earlier that day in Syria. And they remembered others who have died. February 21, 2012  "Danny Vampire" fought for freedom. But now, he says: "Tunisia had an election, Egypt had an election. And Libya? No." What's more, he sees just as much corruption now as before. November 14, 2011  The country faces enormous economic challenges. It has a staggering public payroll, huge subsidies on food and fuel, and a populace trained for years to view the government as the primary source of economic well-being. November 9, 2011  Revenge attacks are alarming those hoping for a swift transition to peace in Libya. 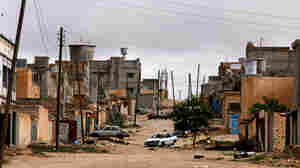 Some villages where loyalists to overthrown dictator Moammar Gadhafi used to live are now abandoned, and locals hope they stay away. As well, militias still have their weapons, and regional rivalries are at play. Libyan Transitional National Council fighters said Moammar Gadhafi was captured Thursday in this graffitti-filled culvert in Sirte. October 20, 2011  The man who ruled Libya from a fortress-like compound in the heart of Tripoli reportedly spent his last moments holed up in a culvert under a road in his hometown of Sirte. The exact circumstances of his death remained as murky as his whereabouts since the capital fell in August. 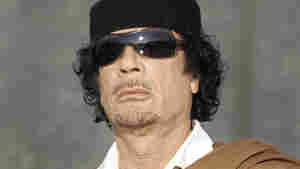 Libyan leader Moammar Gadhafi, shown in a 2008 file photo, ruled Libya for 42 years. 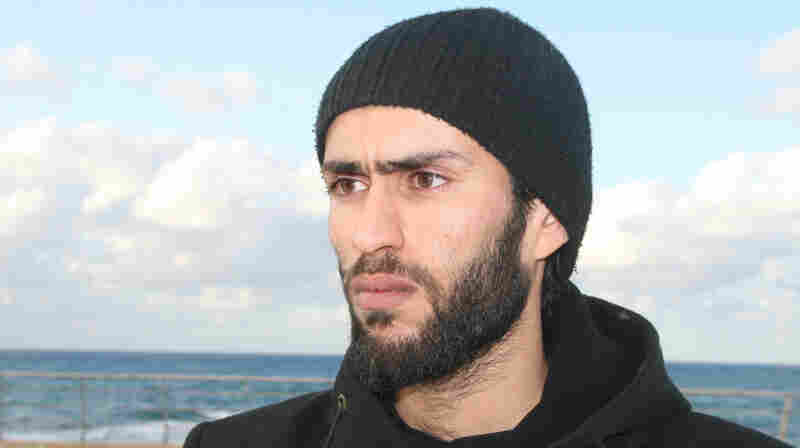 Libya's new leaders say he was killed Thursday in his hometown of Sirte. October 20, 2011  Moammar Gadhafi was a young army officer when he first seized power in a September 1969 coup. During his rule of more than four decades, he was an unpredictable, often brutal leader with an inflated vision of himself. 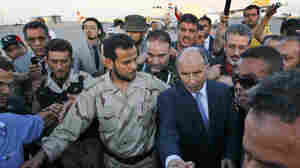 On Thursday, Libyan officials announced that he had been captured and killed. 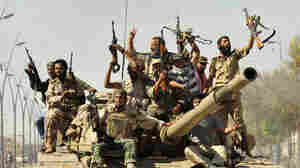 Anti-Gaddafi fighters celebrate the fall of Sirte in the town October 20, 2011. October 20, 2011  The killing of the ousted Libyan leader is the climax of a months-long struggle to topple the dictator's regime. Photos and videos supposedly showing his body are beginning to surface. 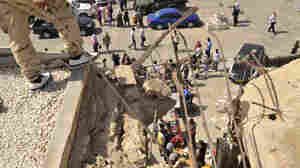 Libyans visit the destroyed Bab al-Azizia military barracks and compound of their country's ousted leader Moammar Gadhafi, in the southern suburbs of Tripoli, Libya. October 9, 2011  Moammar Gadhafi's compound in the heart of Tripoli has been put to new use as a market, and the former palace of terror is now a kind of fairground. 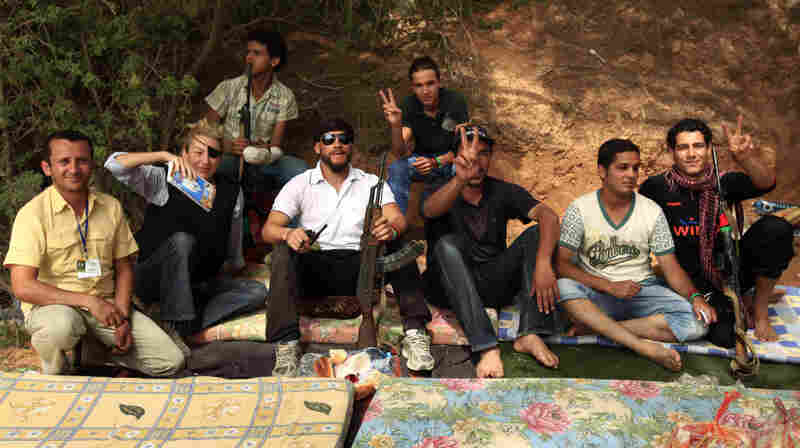 A revolutionary fighter watches over two suspected Gadhafi loyalists in Sirte, Libya, last month. 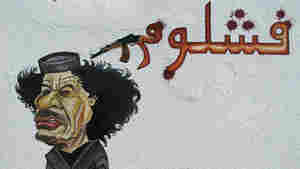 By some estimates, up to 30 to 40 percent of Libyans are sympathetic to former dictator Moammar Gadhafi. October 6, 2011  By some estimates, up to 30 to 40 percent of Libya's population is sympathetic to ousted dictator Moammar Gadhafi. Tripoli's Abu Salim neighborhood provides a window into the potential problems the country faces in the wake of its brutal revolution. 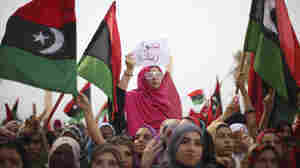 In Tripoli, Libya, women celebrate the revolution against Moammar Gadhafi's regime and call for a strengthening of women's rights, Sept. 2. After playing large but largely unsung roles during the uprising, women are now seeking a greater political role. October 4, 2011  In Libya, women played an unsung role in the uprising that toppled dictator Moammar Gadhafi. Now, they are seeking increased opportunities in the new country that is still emerging. September 30, 2011  Libya's militias are a collection of regional groups that will have to learn to work together to form a new government. They are still talking for now, but there are clear differences and rivalries. September 23, 2011  In Libya, refugees are streaming out of Sirte, the last major town still in the hands of forces loyal to ousted dictator Moammar Gadhafi. Cut off from the rest of the country, without electricity, many knew nothing of recent rebel advances, including the fall of the capital, Tripoli. What Role Will Islamists Play In Libya? September 21, 2011  The Muslim Brotherhood is among the factions seeking to play a role in the new Libyan government. 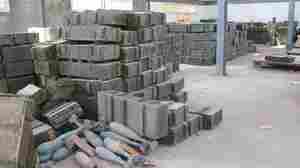 But moderate Libyans say they do not believe Islamists will become the dominant force in the country. September 20, 2011  The president is holding Libya up as a model for what the United Nations can do to protect civilians. Obama and other U.N. nations are pledging continued support and encouraging Libya's new leaders to keep their promises to forge a just, democratic society. September 15, 2011  Prime Minister David Cameron and French President Nicolas Sarkozy are in Libya today, meeting with leaders of the National Transitional Council. September 14, 2011  Libya's new leaders are still trying to account for all the money that was under the control of ousted leader Moammar Gadhafi. It seems much of that wealth remains frozen in foreign accounts, and Libyan bankers say billions in gold and cash are still under being held by the central bank. 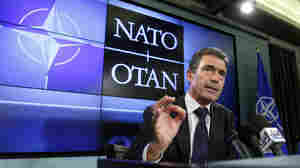 NATO's Intervention In Libya: A New Model? September 12, 2011  NATO's decision to intervene in Libya was a new kind of operation for the alliance. And now that Moammar Gadhafi has been driven from power, there's a debate about whether NATO will undertake similar action in the future. September 11, 2011  Saadi Gadhafi was intercepted by local troops after he entered the country through Libya's southern desert border as part of a convoy, officials said. The International Criminal Court has not issued a warrant for Saadi's arrest. 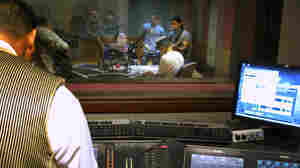 September 9, 2011  NBC News chief foreign correspondent Richard Engel details what it's like to report from some of the more dangerous war zones on the planet. He also discusses his recent dispatches from Egypt and Libya, where he was subject to tear gas attacks and artillery fire. 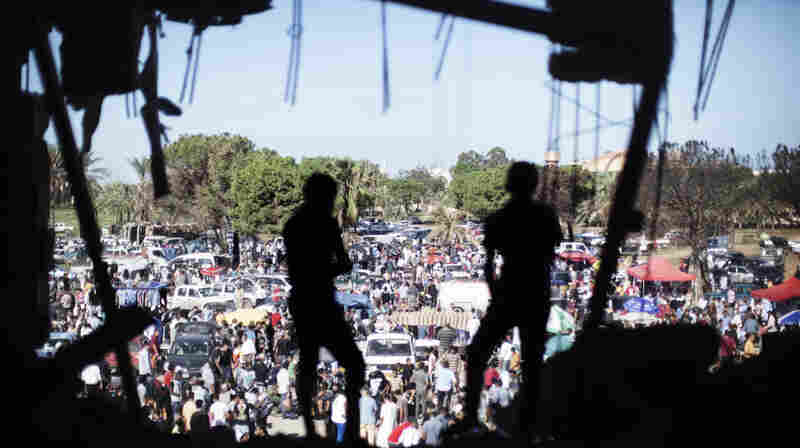 September 8, 2011  Libya's rebels came from different parts of the country and had only limited contact as they battled Moammar Gadhafi's regime. But now they must work out their differences as they figure out how to split up key posts in the capital.